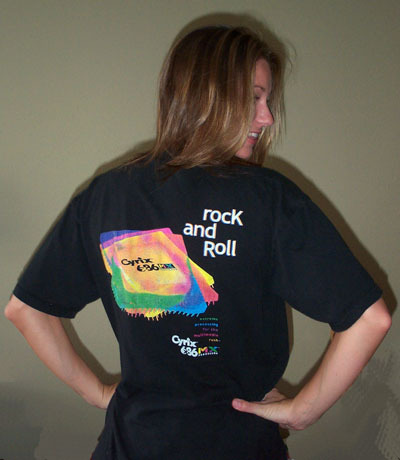 I have acquired a lot of various Cyrix marketing material, and promotions through the years and figured that I would show some of it off. I convinced (cost me breakfast ) one of my friends to model the shirts for ya'll so that you didn't have to be crazy scared about my looks. Club Cyrix Always Open and Always Hot. 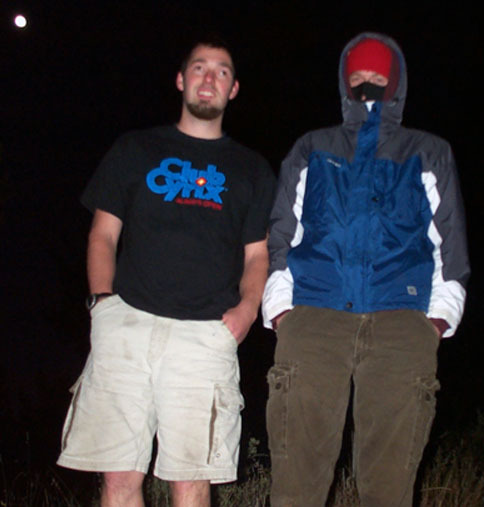 Yes the Cyrix shirt is keeping me warm, even when the air is frigid and the moon is shining. 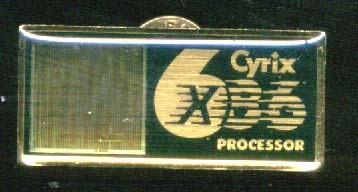 The introduction of the Cyrix 6x86MX introduced lower voltages, and MMX to the already fast (and hot) 6x86. Premium performance at an affordable price. This is what set Cyrix apart, and forced Intel to cut prices. 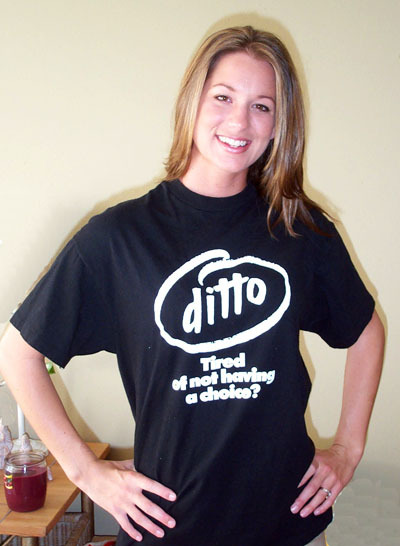 Tired of not having a choice? Cyrix Instead was the campaign of the Cyrix Cx486 and the 586. Cyrix's 586, while pin compatible with 486 boards was a true superscalar, pipelined CPU. Equivalent to or better then a Pentium of the time. The 586 lives on, ironically, in AMD's Geode line. Cyrix Instead - The Intelligent alternative. 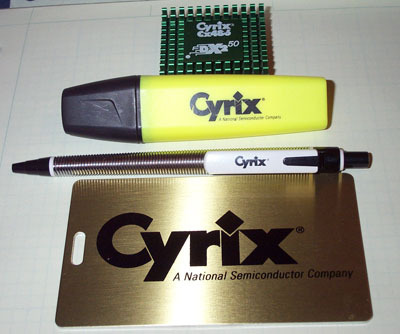 Cyrix wasn't just billed as a better value, or a budget chip, it was sold as smarter. 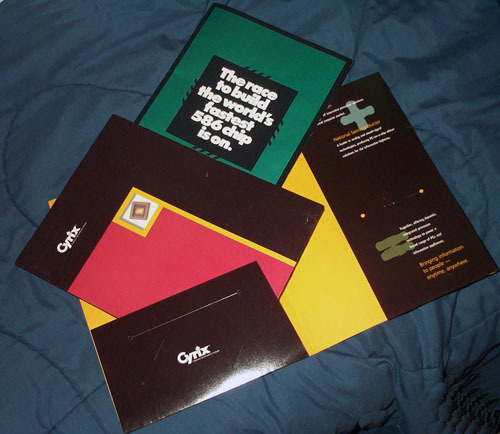 Various Cyrix product folders given out at trade shows. 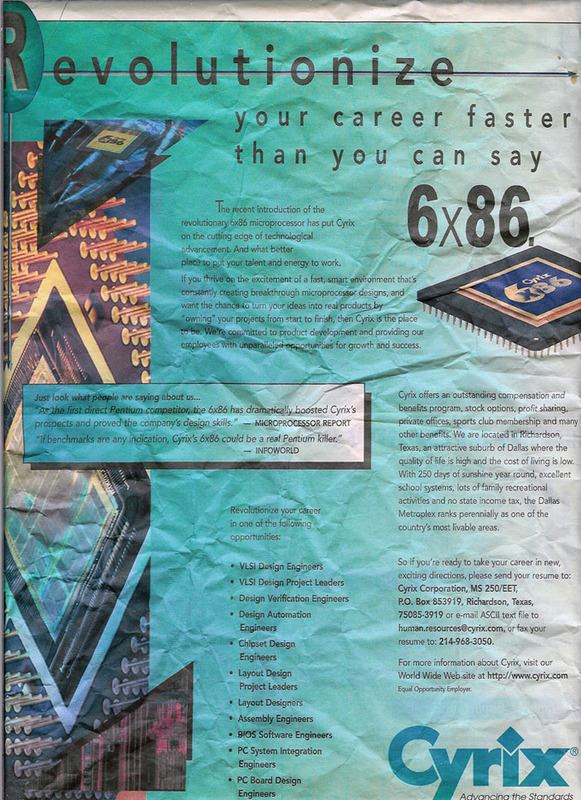 THe 586 folder has several large full-color pullouts on the architecture of the 586 and why it is better then a Pentium. The Cyrix Pens and luggage tag on the right are from much later in the history of Cyrix. As you can see these are from Cyrix while under the ownership of National Semiconductor. Want to work for Cyrix? 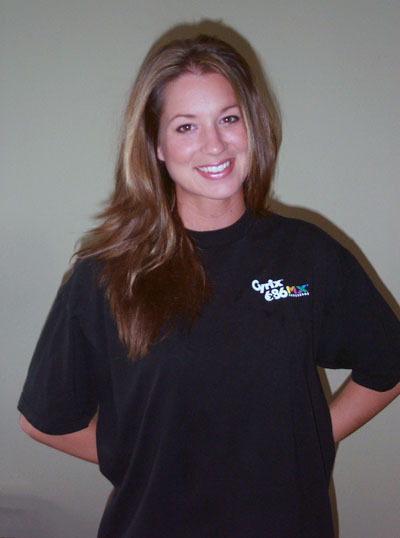 At the time they were a very fast paced company. Jerry Rodgers, the owner was known to be very demanding of his employees, often to a fault. When going against Intel it had to be done though. 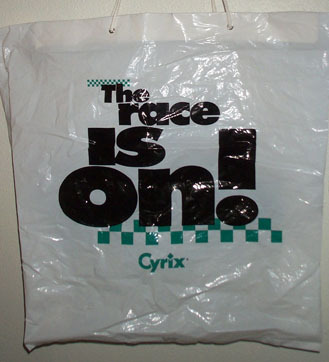 If you have any more Cyrix memorabilia please let me know.